A short hike – 1/2 mile – into a lake. Trail head on the west side of the road in a 25 year old clear cut. 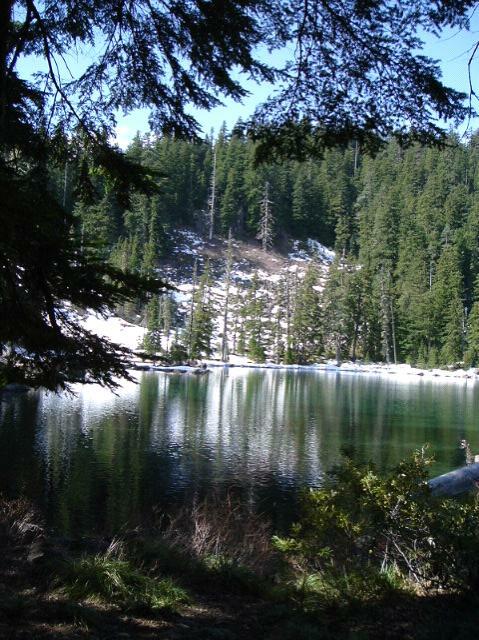 Climb up through the young timber to a ridge and a slight view of Timothy Reservoir. Slide over into a small bowl in untouched habitat nesting the lake. A popular place to camp and swim.